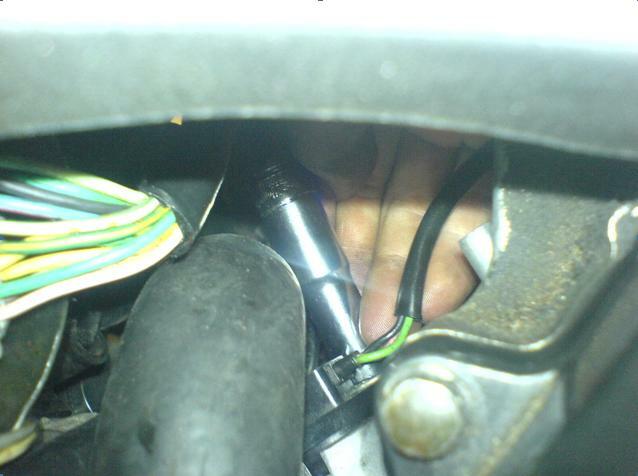 This is a HOWTO for changing the vehicle speed sensor (VSS) on a CBR 600 F4i (UK F1/2/FS1/FS2). 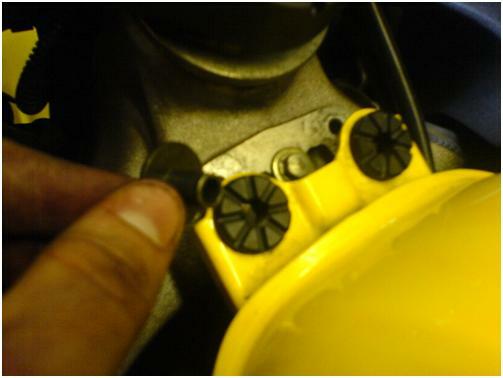 The procedure is the same for removing, cleaning and checking the speed sensor before replacing it, so I will quickly go through the checks to do this also. This is a 2 beers job and start to finish shouldn’t take more than 2 hours; a mate to help you is useful but not essential. I also havent quite figured out how to embed photos yet, will change this if/when I do . In short: my speedo doesn’t work for the first 10-15 minutes of each ride then it magically jumps back into life. 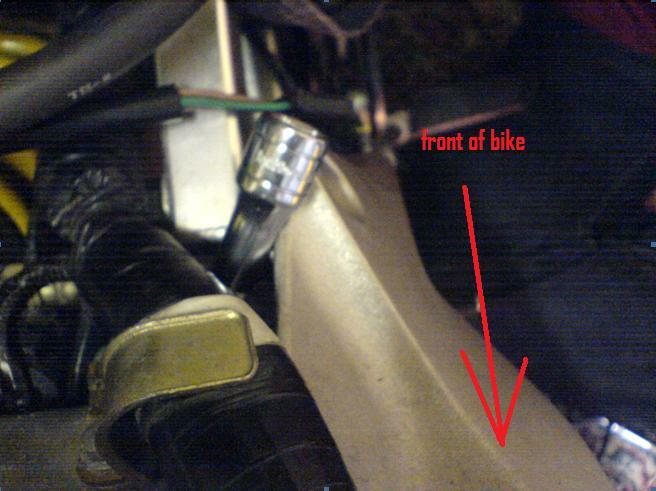 This is accompanied by an FI light fault with code 11 (speed sensor/wiring fault) and seems to be very common on these bikes. I sometimes get about 30secs of a working speedo at the beginning of my ride. Last edited by DonnyBrago; 08-26-2011 at 08:30 AM. These two steps are optional but are probably worth doing. 11) To check the sensor: Follow the wiring from the top of the sensor to the wiring loom, reconnect the battery, switch on the ignition and check for about 12v between the black and green wires on the 3 pin connector – stuff the multimeter pins into the back of the VSS plug (It is VERY hard to reach, I used needle type multimeter wires, clamps and cable ties to get them into position – very fiddly). 12) Position your multimeter between the pink and green terminals, spin the wheel by hand and check for 5v peaks as the VSS sends a pulse. If no reading is obtained then your VSS is probably knackered. Buy a new one. If it does give a pulse then it may still be knackered but could mean that your clocks are faulty. If like me, you get about 30s of working speedo at the beginning of most rides then this probably doesnt tell you any more than you already know because the speed sensor is likely to be working but only intermittently. 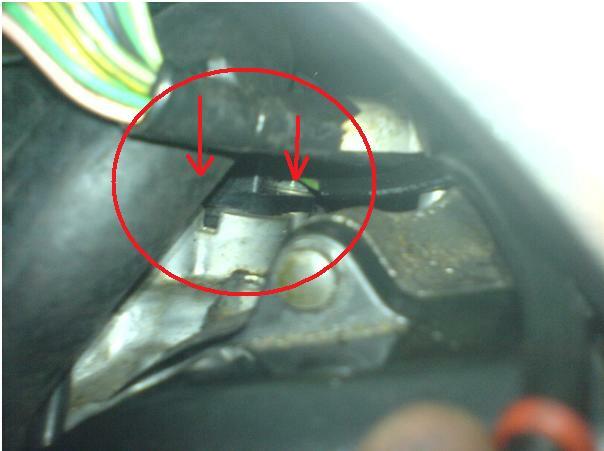 16) Remove both bolts, then unplug (if you havent already) and remove the sensor, there is a rubber O ring around the base of the sensor, don’t let this drop into the crankcase – it might be left in the VSS hole, replace it when you replace the sensor. 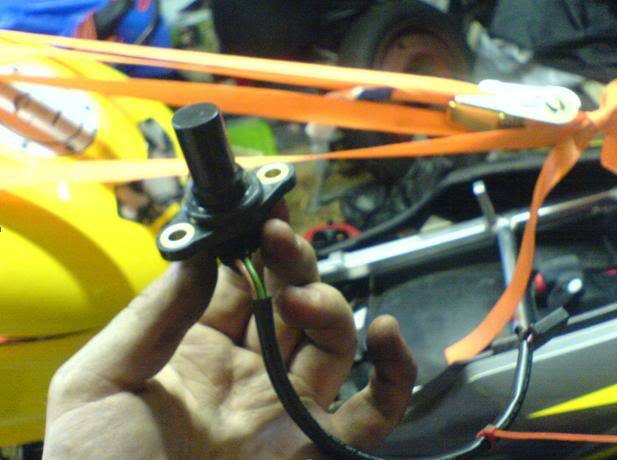 17) This is the speed sensor. It is magnetic and it has been proposed that the reason it fails intermittently is the build up of metallic particles on the outside of the sensor. I didnt actually replace my sensor this time, I was testing out the theory that cleaning these particles off might help it. I did just this, and cleaned out the connector plug with a file and contact cleaner and there has been no change in my speedo situation. 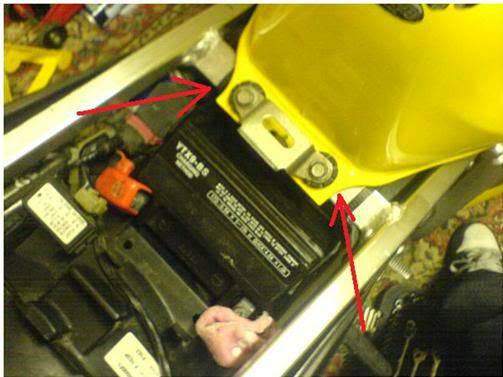 18) Installation is the reverse of removal, the only thing to add is that it is important to get the speed sensor round the right way round, the bolt holes don’t align if the wiring exits the sensor forwards so turn it round if you cannot get the second bolt to line up. 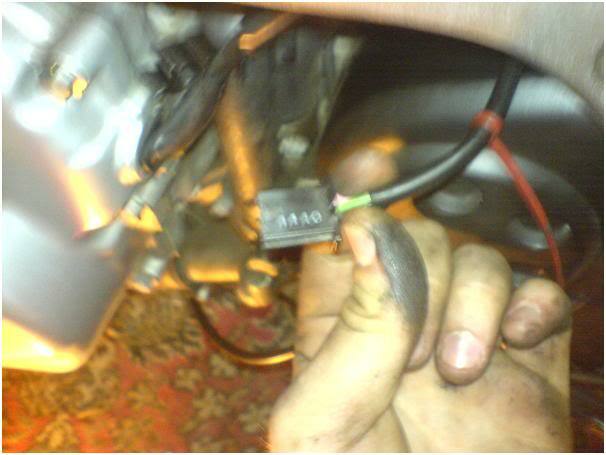 In short, bolt the new sensor back down, plug it in at the loom. 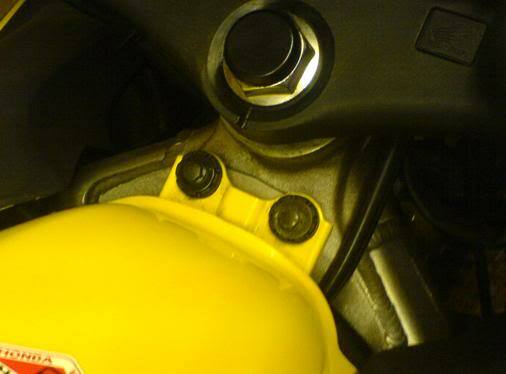 Reconnect everything, lower the tank, replace the rubbers and metal pieces at the top of the tank, bolt it down. 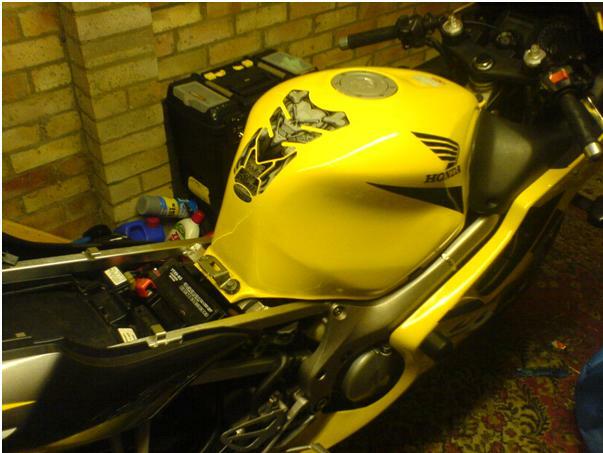 Either check it with a multimeter or replace the fairings and go for a test ride. Buy beer if it has worked and cry if it hasn’t. 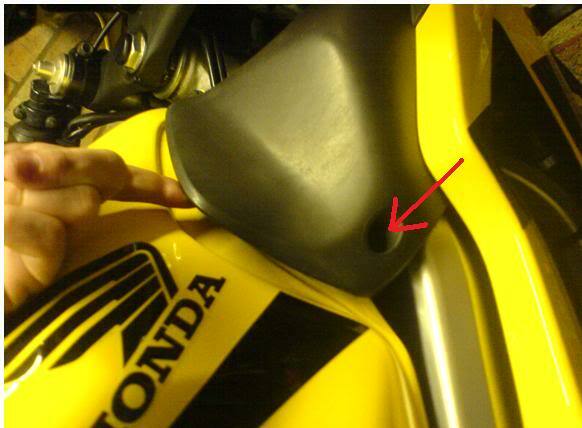 The breather on the tank is very easy to dislodge so check it is stuck back on before you lower the tank. Last edited by DonnyBrago; 08-26-2011 at 08:32 AM. Excellent post. 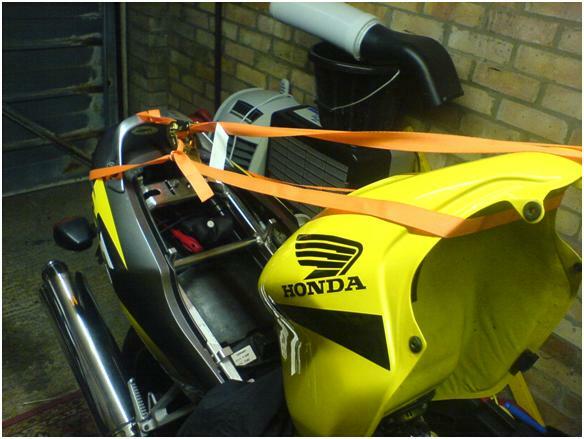 I managed to do this procedure on my bike today following your advice. I'd differ slightly in that I didnt remove the entire left side of the fairing, only the top covers left and right to get the tank propped. I also took out the rear shock absorber to get more room. 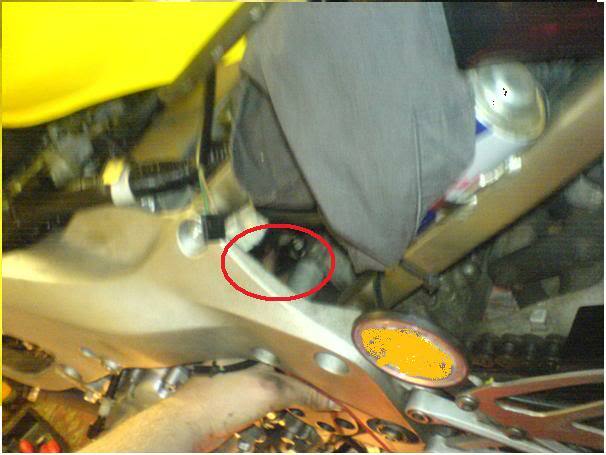 The hardest part was getting a socket on over the bolt under the coolant pipe....! 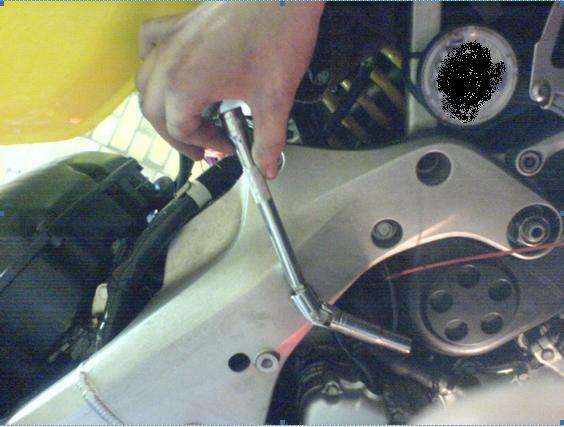 I agree, the coolant pipe is a total PITA and in exactly the wrong position when doing this job. Sorry to bring this thread back to life but it looks like the speed sensor needs to be replaced on my 04 F4i & I can't view the pics in this thread. I thought I'd kill two birds and post on the forum to let the admins know that I am not a bot nor a rich Nigerian prince and reference the thread that looks like it will make this work a little easier, one I can view the pics that is. Of course, the pics may be gone too. The symptoms are once the bike gets hot (normal operating temp) after 20 minutes or so of riding, the speed goes to zero and the FI light comes on. I pulled the codes and it says the speed seror is bad. I have a new one sitting right here just waiting to be installed. I am unable to view the photos. is there anyway to view these? Weird I can see them but no worries, I will put them on photobucket tonight and upload them. Yours sounds v similar to mine though so I would highly suspect the speed sensor. EDIT: Photos uploaded, hope you can see them. 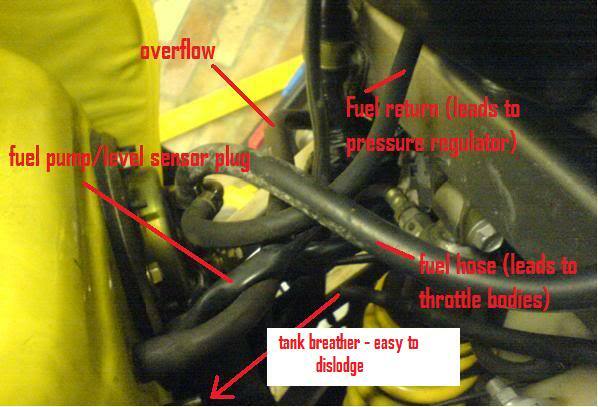 The speed sensor on this bike is crap and in a really bad position, the task itself is very simple just a bit of a pain. Last edited by DonnyBrago; 08-26-2011 at 08:34 AM. i had the same problem. speedo would not register did some digging and found out it was the kph to mph converter. 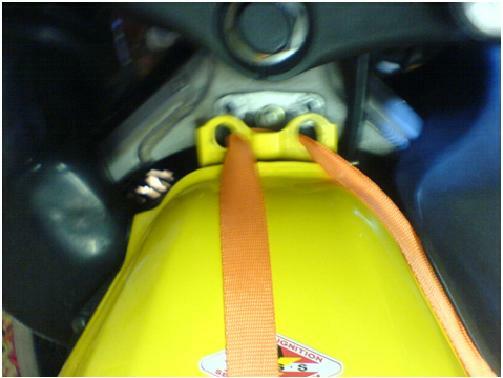 if you follow the wire from the speedo sensor it is a little black box with 3 wires on each side. un clip it and join the two wires together. take your bike for a spin to see if it works. your clock will be in kph but will do until you can get a replacement converter plus i can guarentee its a hell of a lot cheaper than a 150 quid speedo sensor. Hi, just wanted to thank you for this guide. I did the speed sensor swap today! It took a lot longer than i expected, luckily i had a friend with small hands to help. I would never of managed it myself. All done and working. Well chuffed. I bought the part from partzilla in america. 60 dollars and 40 delivery. Still half price compared to uk prices.